China plans to have more than 2,000 schools featuring winter sports prominently by the year 2020, and over 5,000 by the year 2025. An athlete compete in Beijing's first winter sports game on December 15, 2018. Upbeat as the deputy director of China's Winter Sports Administrative Center Ding Dong typically is, he had no idea that the country's first Winter Sports Festival would be such a big success. The Beijing Exhibition Hall, which hosted the three-day event late last December, was flooded with over 14,000 visitors on its opening day, almost twice the number that the organizers had expected. "I've been very optimistic about the promotion of winter sports in our country, but I am still shocked from time to time by the enthusiasm of ordinary Chinese people," Ding said. Trusted with the 2022 Winter Olympic Games by the International Olympic Committee in 2015, the Chinese capital of Beijing will spearhead a plan to encourage 300 million people of the world's most populous country to get involved in winter sports. This is no easy job for China, which has a population of more than 1.3 billion people. While China's warm half, comprised of most areas south of the Yangtze River, had few traditions of skating and skiing in the past due to climate, winter sports were not very popular even in the colder north because of the high cost associated. "After Beijing won its bid to host the 2022 Olympic Winter Games, things began to change," Ma Yuquan, head of the Yanqing District Sports Bureau, told Xinhua two years ago. Yanqing District in north Beijing is where the 2008 Beijing Olympic Games cycling competitions were staged. This is also where some of the skiing programs of the 2022 Olympic and Paralympic Winter Games are to be held. "The Winter Olympics will definitely fuel people's enthusiasm in sports," Ma said. "The 2008 Beijing Olympics inspired many Chinese to get involved in physical exercise. The venue of the cycling competitions was in Yanqing. Now the district is home to more than 10,000 cyclists. That is the legacy of the Olympics," he added. Yanqing students from primary and middle schools began learning skiing and skating during their sports class in 2014. In 2016, about 8,000 students were included in the project. With the "300m people involved in winter sports" plan, at least one-fifth of the country's population could benefit from the sports gala under the Olympic rings. And according to a five-year tourism plan (2016-2020) released by China's State Council, winter sports tourism has been listed as an important part of the country's ambitions to raise tourism revenues to 7 trillion yuan (US$1 trillion) by 2020. Committed to this ambitious plan, local governments across the country are going all out in their efforts to push winter sports forward. Areas boasting both ice and snow, like the Xinjiang Uygur Autonomous Region in northwest China, took measures to provide a better environment for people to participate in winter sports, making efforts in infrastructure construction to stimulate local people's interest and passion for the pastime. 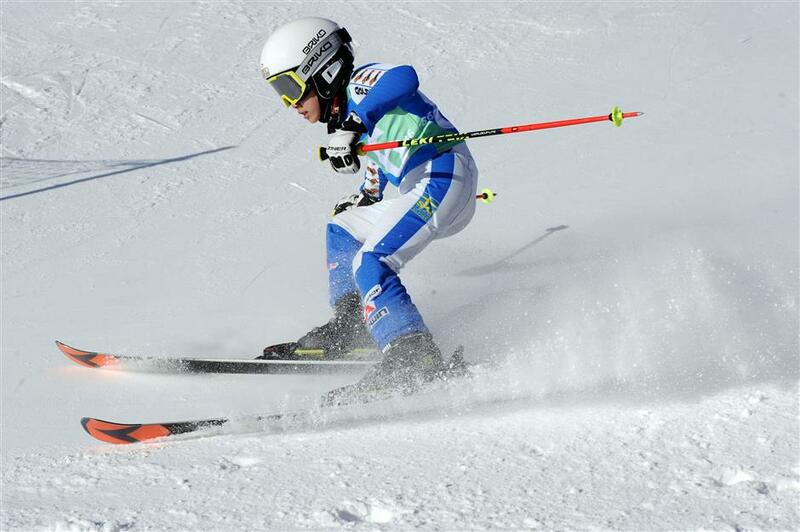 Zhang Baohua is now a star skier in the Xinjiang Silk Road ski resort. The 76-year-old has enjoyed skiing on the weekends during the snowy season for six years. He took up skiing after his son bought him a new set of equipment and has turned skiing into his favorite weekend family outing ever since. Another northwestern part of China, Inner Mongolia Autonomous Region, has also mapped out a detailed plan to consolidate a mass base of support for winter sports. More skating rinks and ski resorts will be built, more winter sports schools will be established and more courses will be opened. But the popularity of winter sports in China is not just confined to the colder areas; southern China is also seeing a huge surge in interest as well. A ski resort named Nan Tianhu opened in Chongqing in January 2018, giving the southwestern municipality a new destination with which to embrace winter sports. During the trial operation of the Nan Tianhu resort, hundreds of people rushed in to have a taste of skiing. "The peak reached 600 visitors per day, totally beyond our expectations," a director of the resort Zhao Qian said, adding that the lack of snow and ice in the region makes people even more enthusiastic about winter sports. Guizhou in southwestern China will also build more indoor skating rinks and outdoor ski resorts, according to Song Guoqiang, deputy director of the Guizhou Sports Bureau. According to official statistics, as of October 2018, more than 800 ski facilities had been built and about 50 million Chinese citizens had skied at least once. In all, about 150 million have participated in winter sports directly or indirectly. China's first winter Olympic champion Yang Yang, former IOC member and current Chair of the Athletes' Commission for Beijing 2022, believes that mass participation will help spread Olympism and enable China become competitive in international competitions. "We made a commitment to bring 300 million people into the fold of winter sports in our bid for the 2022 Winter Olympics. We are now on the right path, but the task will take patience, hard work and require the whole society to collaborate," she said. As Beijing is gearing up to prepare for the 2022 Winter Olympics, winter sports industry insiders from around the world are seeking business opportunities in China. Wu Bin, general manager of Beijing Carving Ski Equipment, told reporters that a lot of international companies have come to China because of the 2022 Olympics. "People from Japan, New Zealand, the United States, Switzerland and France came here to do training for ski instructors. And many brands in ski and snowboarding come to set up offices or to find distributors in China," Wu said. Scottish ski instructor Kathrine McKenzie moved last October to Chongli, in Zhangjiakou, where most of the skiing events during Beijing 2022 will be hosted, and is now a ski school director in the city's Thaiwoo Ski Resort. "With the Olympics coming to this area, there are so many developments happening, and it's really an exciting opportunity in the winter snow sports area. That's why I came to Chongli," said Mckenzie, who has been working in the skiing industry for over 10 years. China's vision of including 300 million people in winter sports has been noticed by the international society and given the thumps-up by IOC president Thomas Bach. "We can see the great progress, but what is even more important is we can see the plan raised by Chinese President Xi Jinping to make 300 million people familiar with winter sports obviously already works. We have met many children who love winter sports. We have seen athletes practicing winter sports. We have seen the half-pipe and other slopes which are already hosting international competitions. The progress is really impressive," Bach said during a visit to Beijing 2022 competition zones last Tuesday. Gilbert Felli, Senior IOC Consultant and former Olympic Games Executive Director, echoed Bach's sentiments. "The 300 million plan's contribution towards the Olympic movement is clear. China is becoming an important winter sports nation."